benzyrnill, 旎宫嘉坊: fine art of seasonal hope in raining moment. 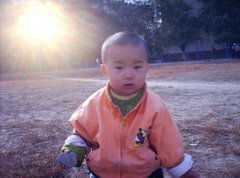 repentance in peaceful night.^last night before went to bed, God shows me my self-poised crashing baby son, warrenzh 朱楚甲's space. i saw his need to live unbiased and independently fresh. i saw his deep love to his dad, me. after went to bed, i found all the mistakes the rain day he made was in fact my fault, my unable to accompany him to game and fun find. i saw my too proactive a fake cause not to stay with him, Hope of China, God of Universe, full heart and full time. on bed i pray God to let baby know my repentance at once while i can't buzz him for the late night. i pray God meaningful tomorrow will bring more joys when we gather together, pray God let me less commit cheap utterance that can lead me astray, and float in falling of self-content. an official spring rain.^last week busy with hunting for downloadable pc games for our pastime. also launched to backup source file of family album to google picasaweb. baby son yet recovered from cold, so his mom refused him to visit my dorm. i managed to visit him twice in the week, for joy of great games. last night i busy in my ditched office later than 8:30pm. then listened music and rest in dorm lately. i let the window open when i went to bed, in dawn i woke up among rain drops' noise outside. its the largest rain so far in spring 2011, and i saw so many blisses in it. in dawn i dreamed of my college campus. Wujiang, one of my Nankai university alumni and now a professor in US, contacted a visiting faculty selling ginseng aside a lake. i was at a loss for my alumni swim skill better than mine. in the afternoon after i returned from baby's mom's house, i dozed on bed in dorm, dreamed of my past mother's affirmative love which protects me from any insane seduce. its a large rain and last so long, when i blogging here i wondered how to visit my baby son, whose house 4 bus stops from here. God, bring my son a dell game desktop as he asked. bring my girls so sweat in my heart and memory. leading me to the brighter life ahead, and more bliss in surest glory. buzzed baby for the possible detaining by rain, but he insisted my visit. so launched after breakfast in canteen. with borrowed ￥10, i took bus then walked in drizzle and arrived. baby watching animation online, i waited aside some time, then we played pc game, a Japanese air combat. after some turns, i told baby i felt flat, asked for accomplishing my own tasks. all the rest day busy with uploading family album to google picasaweb, also restored his mom's notebook os from backup. baby lately engaged with watching an animation trying reiterating legend of Chinese traditional zodiac. the Made in China product quite sinister in propagation, so i quit baby and told him sins in Chinese, and everlasting seduce from demons' against the holy. i warned him be cautious on Chinese culture products, urged him less waste time on the shits, where bureaucracy is its main theme and obsession, and dirt in ordinary Chinese souls which blind from YHWH by poor quality polytheism, and sufferings as punishment for the blind. baby listened carefully, while his mom rushed to shift him away from me. i lately showered in public bathroom, returned to dorms in time for dinner. after enjoyed jog around the dorm, i sorted recent photos, then blogged till now. dreamed of past dad preparing his sons for travel.^dreamed in dawn. my past dad in good mood, preparing my 2 elder brothers and me to travel to his another workplace for trade. we all have nice parcels and baggages. kid brother and my baby son likely also enjoyed short gathering before the departure. the villagers watched our launch of march with envy. Its a windy sunny morning while i missed breakfast, and i due to visit baby and entertain him with pc games now.